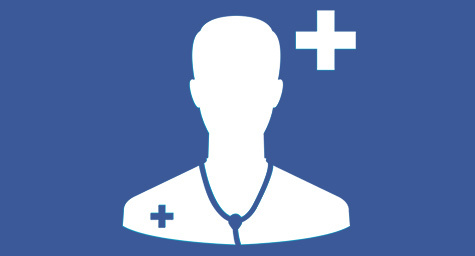 It looks like healthcare is just what the doctored ordered for Facebook as the social network starts examining ways to create online “support communities” that would connect Facebook users facing similar health issues. The company is also scoping out new applications for preventative care that would help its users stay healthy. Facebook’s focus on health reflects the rise in health-conscious consumers who have become increasingly empowered to take their health into their own hands and seek out online sources of support to achieve their wellness and fitness goals, from Internet medical forums to digital wearables. Reuters.com reported more on how Facebook’s move into health could help the company continue to thrive. Now, by following Apple and Google into health, Facebook is showing that it has its finger on the pulse of today’s health-minded market. Health has always been a topic of possible development for Facebook, but the company’s commitment to more critical products has always eclipsed the issue. Then all of a sudden came the big boom in aging Baby Boomers, along with the evolution of the empowered healthcare consumer, and the proliferation of online patient networks where consumers were both comfortable and comforted by sharing their symptoms and treatment experiences. This made Facebook realize that many of its users fell into these groups and that responding to their health and wellness interests may lead to greater engagement. A perfect example of the effectiveness of social media, particularly Facebook, for healthcare marketing was seen in the stunning success of the social network’s organ-donor status initiative a few years ago. This effort allowed Facebook users to specify their organ-donor status directly on their profile pages. In just one day, more than 13,000 people registered online to be organ donors in the U.S., which was 21 times higher than the usual daily average. This proved to Facebook that engaging in health could result in engagement. The company is so serious about this direction that they have been in talks with medical experts and entrepreneurs about establishing a research and development department solely dedicated to developing new health apps. In terms of creating its own online support communities, details are still in development and it is uncertain how Facebook will handle content from these communities, as well as the inclusion of medical experts and expertise. But just the like the users it’s trying to engage, Facebook is finally taking health into its own hands. Get your regular dose of information on healthcare marketing. Contact MDG Advertising.